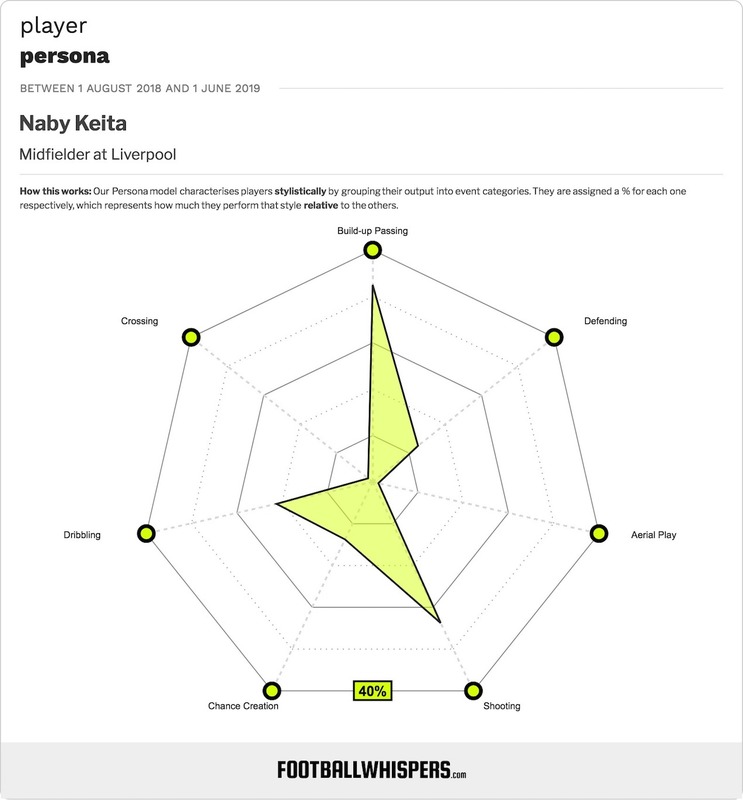 A transfer a year in the making, Liverpool fans had a whole season to study Naby Keita’s Bundesliga performances and get excited about the Guinean’s scheduled £52million move to Anfield in the summer of 2018. Upon his arrival, Keita was handed the No.8 shirt, legendary captain Steven Gerrard’s old number, and was expected to add a level of verve and impetus the Reds’ midfield not seen since former England skipper’s pomp. Keita’s start to life at Anfield has been slower than many expected, however. Despite impressing on the opening day of the season in a 4-0 win over West ham United, the former RB Leipzig man has started just five of Liverpool’s 15 Premier League games. But his performance in the 3-1 win over Burnley at Turf Moor – his first full 90 minutes since that curtain-raising bashing of the Hammers – showed that Keita is adapting to life in the English top flight, and demonstrated why he is the future of the Liverpool midfield. Against the Clarets, Keita displayed all the attributes that made him such a hot property in the Bundesliga. He brimmed with energy, oozed quality and had the confidence to get forward and impose his will on the game. As captain Jordan Henderson looked one-paced and overly cautious alongside him in central midfield, Keita ably linked defence and attack, completing 93.2 per cent of his 59 attempted passes. And he looked determined to open his account for Jurgen Klopp’s side, shooting for goal six times and forcing Burnley goalkeeper Joe Hart into evasive action on four occasions. Early in the second half, in a fashion which became his trademark while in Germany, Keita burst through the middle third of the pitch, jinked and muscled his way between two Clarets defenders and unleashed a rasping left-footed drived which Hart spectacularly palmed away from the top corner. Then, in the final ten minutes, he showcased the full gamut of his attacking intent within a matter of seconds. Cutting in from the right, Keita shot for goal with his weaker left foot. His deflected effort was parried by Hart, but the Guinean continued his progress, shooting again when Mohamed Salah returned the ball to him on the penalty spot. His second effort was blocked, and when Jordan Henderson’s daisy-cutting drive began to skew wide from the resulting loose ball, Keita inventively employed a backflick to redirect in goalward, denied this time by a lunging goal-line clearance. So Keita’s night ended without the goal his performance merited, but his all-round display brightened hopes for his immediate Anfield future. The 23-year-old proved that he is ready for a greater level of involvement from here on. Last season, Liverpool’s strength was in their relentless attack. The prolific front three of Roberto Firmino, Sadio Mane and Salah compensated for a porous defence and a midfield which lacked both solidity and creativity. This term, thanks to the summer arrival of goalkeeper Alisson and the increasing influence of the majestic Virgil van Dijk, the Reds are imperious at the back, with just six goals conceded in 15 league games. And with the attack ramping back up into full gear of late, only the midfield puzzle remains somewhat unsolved. However, with the improving form of Fabinho and now Keita coming to the fore, everything is clicking into place for Klopp.